I am going to extend sovereignty and I don’t distinguish between settlement blocs and the isolated settlements…From my perspective, any point of settlement is Israeli, and we have responsibility, as the Israeli government. I will not uproot anyone, and I will not transfer sovereignty to the Palestinians. — Benjamin Netanyahu, Channel 12, April 6. 2019. In a significant departure from his usual ambivalent and non-committal policy formulation regarding the final status of the territories of Judea-Samaria (a.k.a. “West Bank”), Prime Minister Benjamin Netanyahu came out with an unexpectedly robust and unequivocal statement of intent just a few days prior to the April 9 election. Last Saturday, Channel 12 interviewer, Rina Matzliah, fired an almost taunting question at Netanyahu, asking him why, given the fact that he had a largely compliant government domestically, and a firmly supportive administration in Washington, he had not done more to extend Israeli sovereignty over Judea-Samaria. In response, the Prime Minister announced that that was precisely what he intended to — if reelected in the elections that were due to be held the following Tuesday. 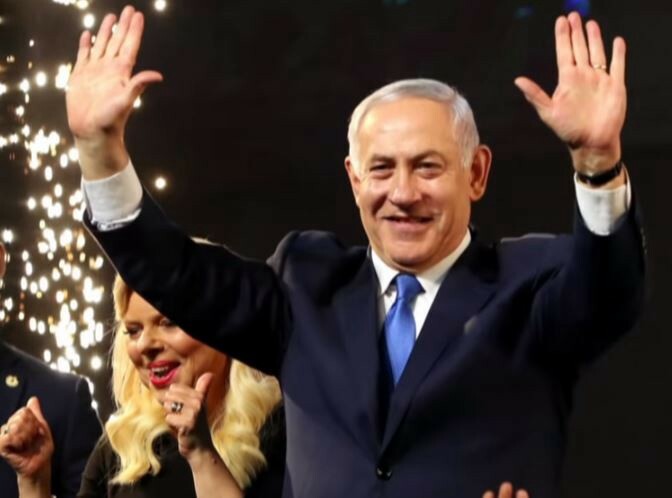 Since the interview, the election results have come in, making it almost certain that Netanyahu will continue as prime minister and be tasked by the president to form the next government — putting him in a position to fulfill his pledge. Nonetheless, while the election results gave an unambiguous victory to Netanyahu and the “Right-wing” block, it is still anyone’s guess as to how sincere he was in his statement of intention and how serious he will be about implementing it in practice. Be that as it may, even at this early stage several issues are already clear. The prospect of any measure entailing the transfer of large tracts of Judea-Samaria to Palestinian-Arab control is becoming increasingly unfeasible. Indeed, as Netanyahu pointed out in his interview, the likely outcome of such an initiative would be the creation of a mega-Gaza — twenty times the scale of what has developed in the South. Accordingly, there appears to be growing awareness of the dangers entailed in any such policy — especially over time. After all, even if some “genuine Palestinian-Arab peace partner” could be identified as having sufficient pliancy to accommodate Israel’s minimal security concerns, and sufficient authority to enforce an agreement acceptable to Israel on a recalcitrant public, there is no guarantee that his hold on power could be ensured for long. Clearly, once Israel relinquishes control over territory, it cannot determine who will seize the reins of power — as the 2007 Islamist take-over of Gaza starkly underscores — and the pliant peace partner could be replaced — by the ballot or the bullet — by a more inimical successor…precisely because of the “perfidious” deal he cut with the infidel “Zionist entity”. For despite an ostensibly robust showing by the “Right”, when one examines the composition of the emerging coalition, the only strong advocate for extending sovereignty is the “United Right”, an amalgam of three factions, widely considered to be “ultra-right” religious Zionist parties, with four parliamentary seats. At the time of submitting this piece, neither the New Right (advocating extending Israeli sovereignty to Area C), nor Zehut (advocating Israeli sovereignty over all of Judea- Samaria) passed the minimal thresholds for election to the Knesset. So whatever the overall reason was for their poor performance, both these parties clearly failed utterly in rallying wide-spread popular support for the idea of extended sovereignty — whether partial or otherwise. 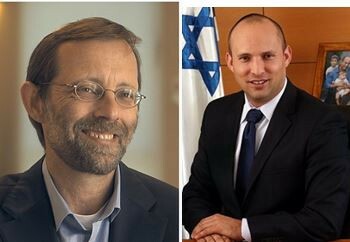 Moreover, none of the other prospective coalition partners can be said to be avid advocates of sovereignty — whether the ultra-Orthodox parties, Shas and United Torah; the Kulanu faction, headed by former Finance Minister, Moshe Kahlon; or even Yisrael Beiteinu headed by former Defense Minister, Avigdor Liberman — who despite his bellicose rhetoric towards both the Palestinian and Israeli-Arabs has in fact expressed support for the two-state principle . Accordingly, if the call for extending Israeli sovereignty over Judea-Samaria is not to be seen as a concept that is embraced almost exclusively by the religious right, strenuous efforts must be made to advance its legitimacy in the non- observant quarters of Israeli society. For if this is not accomplished, it is likely to be dismissed as no more than a tenet of a radical religious credo, with little chance of it being adopted as a legitimate political objective by wider circles with the Israeli polity or society at large, beyond the ranks of the religious Zionist sector. This is a consideration of utmost importance for sovereignty advocates. For given Netanyahu’s hitherto reticence in advancing the principle, it is not implausible to surmise that unless considerable pressure is exerted on him, he may, despite his impressive electoral success, be loathe to advance the issue of extended sovereignty with sufficient vigor to take full advantage of the clement climes in Washington — which cannot be counted on indefinitely. The first is from within the Likud itself — where a good number of Knesset members and ministers support extending sovereignty to some degree or other. However, given Netanyahu’s intra-party dominance, it is unlikely that pressures from within the Likud will be sufficient to compel him to undertake far-reaching initiatives, which he is reluctant to adopt. The third — and most important, but sadly, the most neglected — source of pressure is from the public. It is here that “Right-wing” benefactors in general, and sovereignty supporters in particular, have been especially remiss. In previous INTO THE FRAY columns, I have been at pains to point out that whoever controls the political discourse controls the political decision makers’ perception of the possible alternatives open to them and the unavoidable constraints confronting them. Accordingly, by controlling these perceptions, whoever controls the political discourse controls the political decision making process. It is precisely here that “Right-wing” benefactors have misread the ideo-political battlefield — see Failed Philanthropy; and Like a Man in a Bucket: Failed Philanthropy (Cont.) . For as I have pointed out in these and other columns, whereas “Left-wing” benefactors have funded frameworks and mechanisms to advance political agendas, “Right-wing” benefactors have channeled support largely to causes more concrete and tangible in nature. Accordingly, by focusing on the concrete rather than on the conceptual, “Right-wing” benefactors have allowed the “Left-wing” to hijack the discourse and acquire influence on the political decision making process — and hence on policy formulation — far beyond its electoral success at the polls — see The Limousine Theory: Understanding Politics in Israel- How It Works And Why It Doesn’t . Indeed, the “Right-wing” can learn much from the modus operandi of the “Left”. 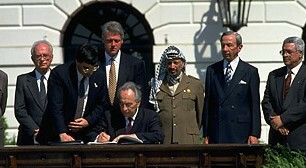 After all, at the beginning of the 1990s, advancing the notion of Palestinian statehood was considered borderline sedition. Contacts with Yasser Arafat’s PLO were an offense punishable — and punished — by imprisonment. Yet, undeterred, the Left persisted — and because it was resolute in its aim, resourceful in its pursuit, and successful in raising resources, it managed to convert an idea, that was not only marginal and marginalized, not only illegitimate, but illegal, into the principle political paradigm that dominated the discourse for decades. Indeed, in this regard, it is important to recall that the Oslo Accords, which essentially catapulted the pursuit of Palestinian statehood from being an act of treason to the internationally acclaimed centerpiece of Israeli foreign policy, were not born in the political system or created by incumbent politicians. They were born in Israel’s civil society and created by unelected civil society elites, who then imposed their agenda on the — often reluctant — elected incumbents. The key to implementing Netanyahu’s pledge to extend Israeli sovereignty to Judea-Samaria may not lie in direct efforts to persuade elected politicians to embrace it, but by investing resources in dominating the public discourse so as to mold decision-makers’ perceptions of what can be done and what must be avoided. Intensive investment of resources in civil society ideo-intellectual frameworks and mechanisms, that can not only draw the idea of extended Israeli sovereignty into the mainstream discourse as a legitimate political objective, but as one that can dominate that discourse. That is the most reliable, hands-on approach to restoring Jewish sovereignty to the heart of the Jewish homeland.